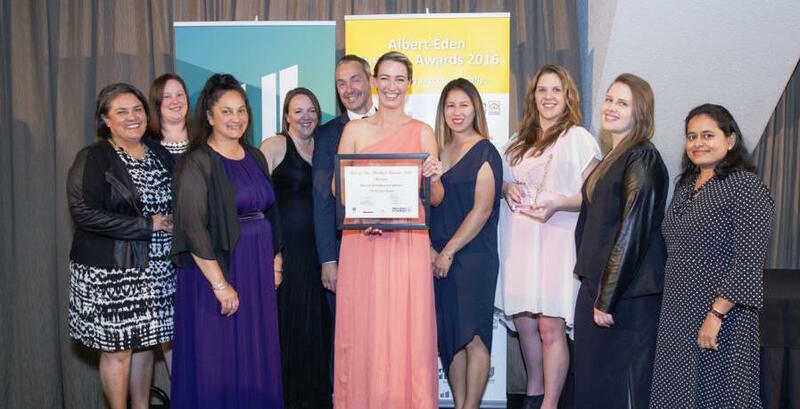 The Rumpus Room team were thrilled and very honoured to win the ‘Business & Professional Services’ category at the Albert-Eden Business Awards 2016 @albertedenbusinessawards.co.nz. It is a wonderful recognition for our hard working and passionate team who put the children and whanau of The Rumpus Room at the heart of everything they do. One of the three pillars of our philosophy is community which makes it extra special to receive this acknowledgement from our local community. Thanks for all your support and thanks to the Albert Eden Local Board for putting the awards together – the first of many we hope. Waterview locals may have seen that construction started on our gorgeous new early childhood centre six weeks ago. 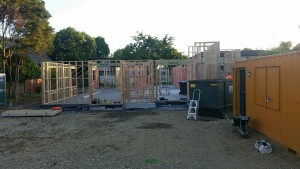 The build is coming along nicely with the framing up and the outlines starting to take shape. All going to plan, construction on the Alford Street site should be completed in mid August. At this stage we have a proposed opening date of early October. We are incredibly excited about the opportunities that the revitalisation of Waterview opens up to get out and about in our new community. We foresee lots of visits to the Waterview Reserve, Oakley Creek, the new walking tracks and the new Alford St cycle path. Our amazing 2IC Heidi Panchartek was recently granted the NZITC Foundations Scholarship for 2015. Heidi was one of two Infants and Toddlers Teachers from across the country to be awarded the scholarship, from over 600 applicants. It is a great recognition for the passion that Heidi brings to the centre every day.